The Committee for Education held an event tonight for the education sector. 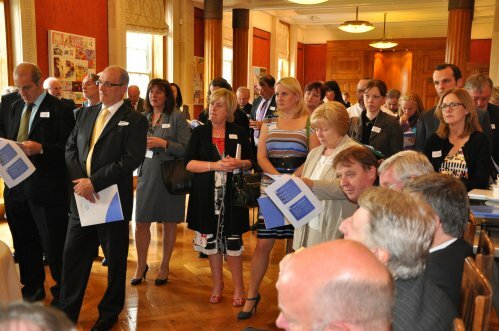 Almost 60 representatives from the sector, including organisations such as the Education and Library Boards, teaching unions and children’s and young people’s charities, came to Parliament Buildings to meet with the Committee and set out what they think are the main challenges facing the sector. Funding, and in particular the budget allocation for education, was raised as the biggest challenging facing the sector. It was suggested to the Committee that there should be review of how resources are spent within education and that there should be less focus on funding administrative costs. The Committee plans to use information it gained at tonight’s event to inform its work for the next four years.